In Grand Cayman, your days are spent on the beach – snorkeling, playing in the water, and just enjoying the sun. You might relax with drinks, or spend the day shopping. That doesn’t mean your day needs to end when the sun goes down. Grand Cayman has a fantastic array of nightlife to suit any mood. 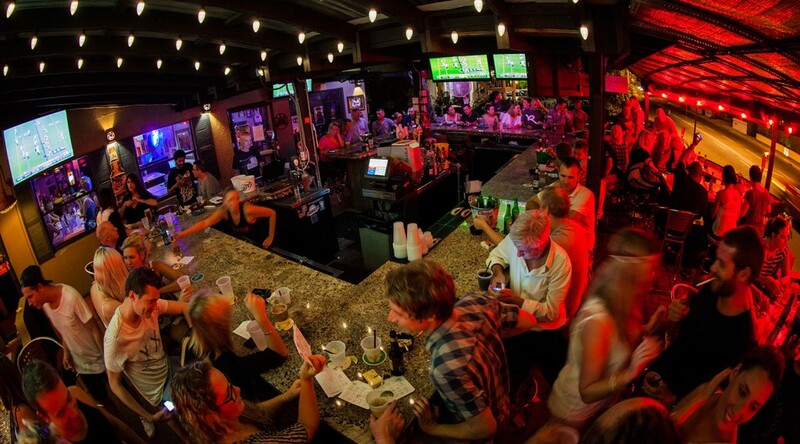 Whether you want an upscale restaurant with specialty drinks, a loud nightclub, live entertainment, or a small dive bar where you can relax without worrying about your wardrobe, you can find it here. Coconut Joe’s. This is a great outdoor restaurant and bar. Sit outside and enjoy the scenery with great food and a beer or watch the fantastic entertainment they regularly offer. Kaibo Beach Bar & Grill. This one should have two entries. Kaibo offers a beach bar that’s stupendous for the location and great food. They also have an indoor upstairs restaurant, if you actually want to put on shoes and get dressed for a fancier experience. O Bar. This nightclub is one of the most popular in the area. They feature great music, large dance floors, and an experience on par with any highly rated nightclub in a big city. Legendz. This is the place to be if you want a little entertainment with your nightlife. Legendz serves good food and excellent drinks, but they’re known for the fabulous entertainment – local bands, DJ’s, and even comedians perform here to the delight of the patrons. Triple Crown Pub. This traditional styled pub is modeled after the ones you might find in Ireland or Britain, with all of the camaraderie and great warmth. Hammerheads Brew Pub Bar. This bar and restaurant boasts its own micro brewery and offers some fantastic food.